An iOS game of strategic fantasy battle – orcs * humans * elves – available now in the Mac App Store. 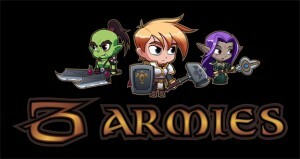 3 Armies Lite, the FREE version of the game of fantasy battle between orcs, humans and elves is now available in the App Store! Star Witch is the working title for a science fiction/space opera project currently in development.